Jay Z and Solange are all smiles in New Orleans after their infamous elevator brawl. 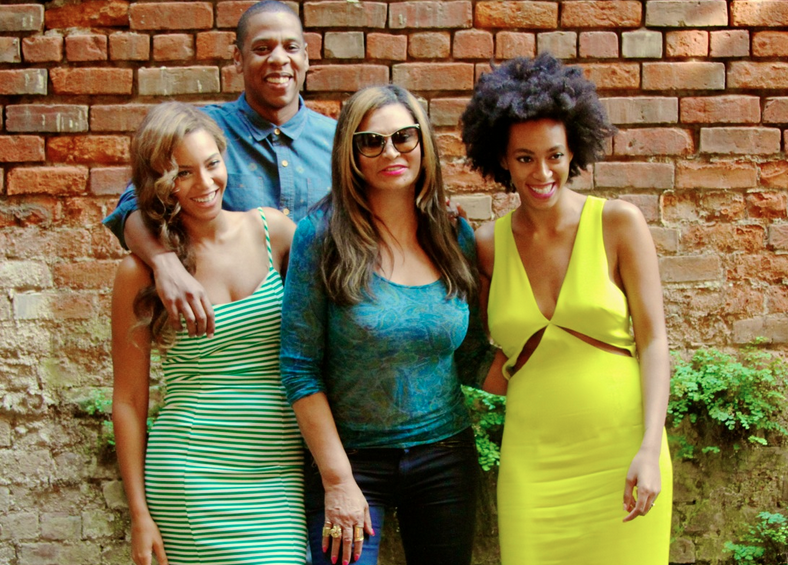 Beyonce, hubby Jay Z, sister Solange and mum Tina were all smiles as they posed for a family picture in New Orleans. Last week the shocking footage of Losing You singer Solange attacking Jay leaked. Since, they’ve been steadily cranking up the PR offensive, keen to distance themselves from rumours of a family rift. First the sisters and Jay released a joint statement saying they love each other and want to move forward. Queen Bey later posted a beaming picture of her and Solange. “May 17, New Orleans,” the mum of one wrote next to it. Then Bey, 32, shared this picture perfect snapshot of family unity on her official website.